Fern takes inspiration from the growth and unfolding of a plant. 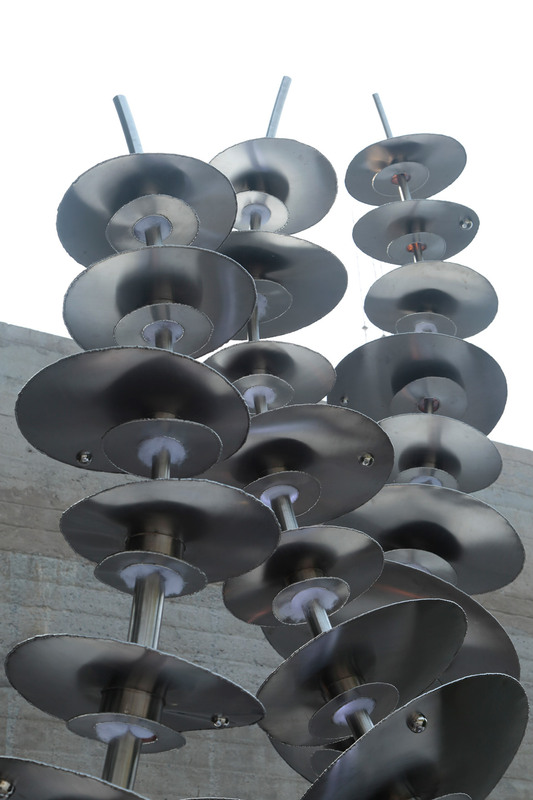 It appropriates the plant in the form of art, thereby becoming a distinct attraction within any landscape.The installation is an abstract formation of Stainless Steel discs and a central stem twisting and curling to the top. 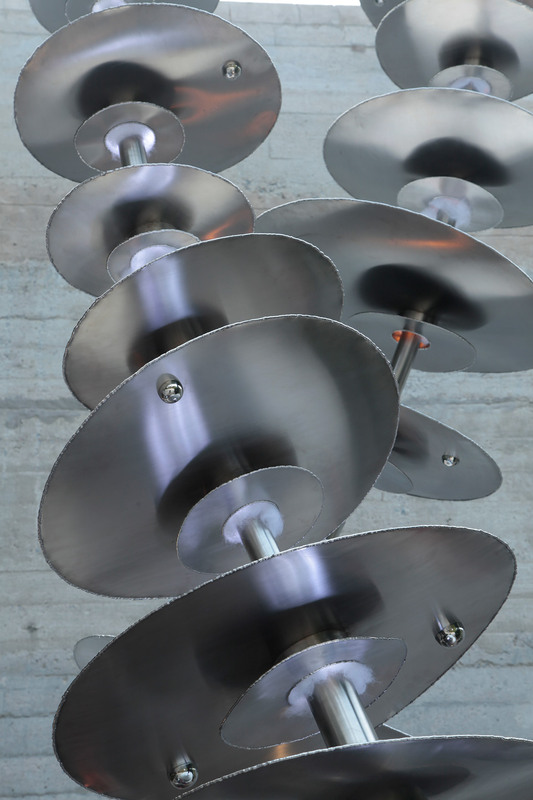 The stem narrows as it reaches the top, and the discs turn smaller, creating impressions of movement and growth. 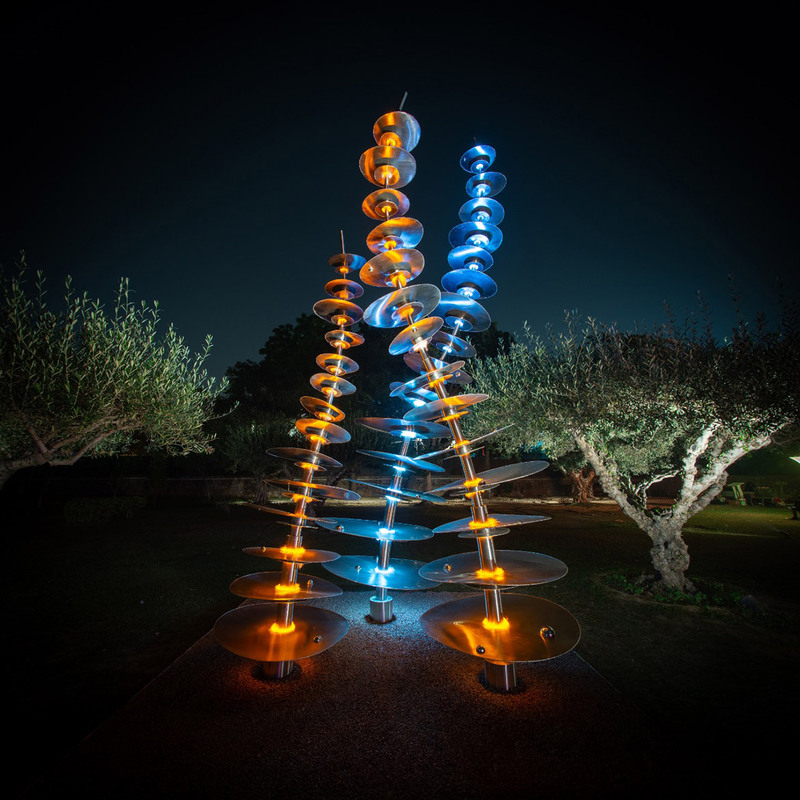 During the day, the installation beautifies the landscape and at night, it stands out from the environment and appears to dance its way out of the ground. Each stem seems to be interacting with the other to create an organic asymmetry that is typical of any natural plant formation. 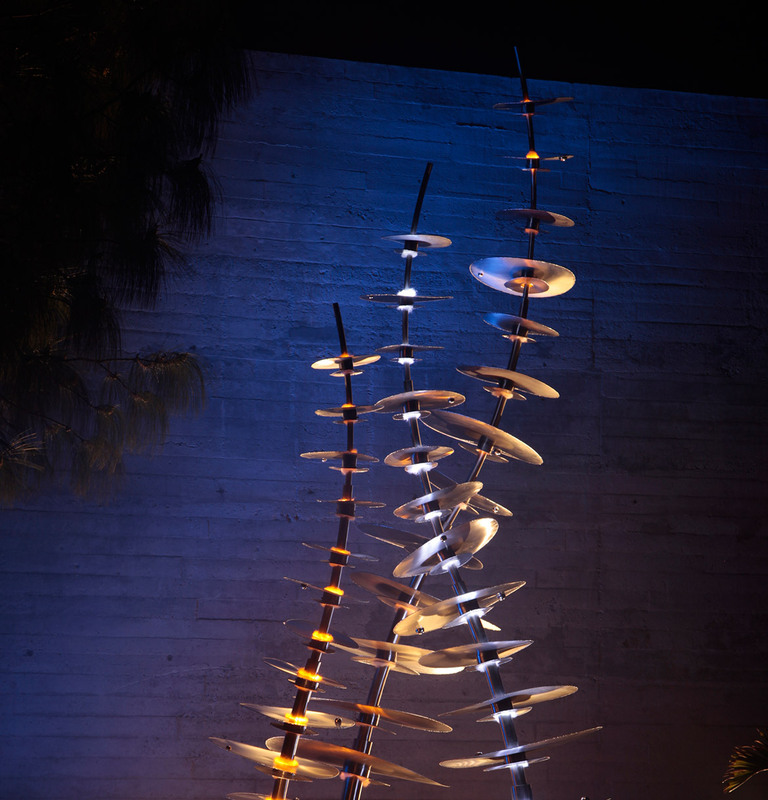 The gentle light from the central spine, illuminates the discs, and exudes an outward warmth. 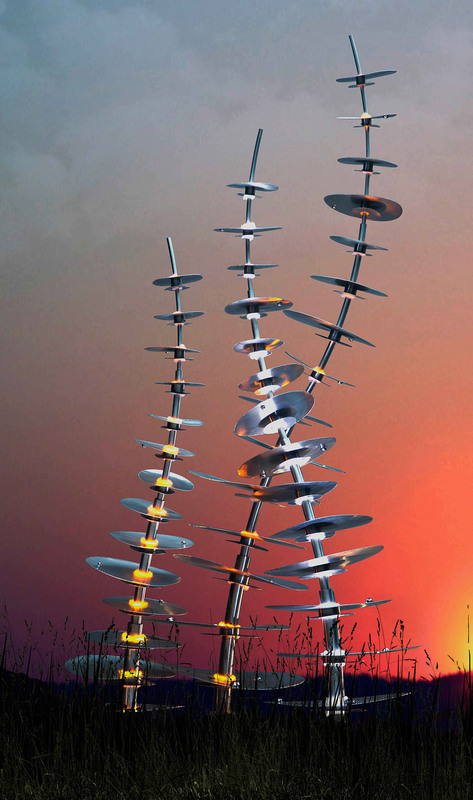 Fern is an artist’s imagination of a surreal landscape crafted out of stainless steel, where all formations mimic the processes of nature.